12 bright LEDs increase your vehicle's visibility. 3 Flash Patterns for variable warning signals. Rated IP56 for dust and water resistance. 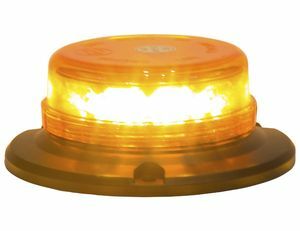 Durable 3-point diecast permanent mount. Backed with a 5 year warranty. 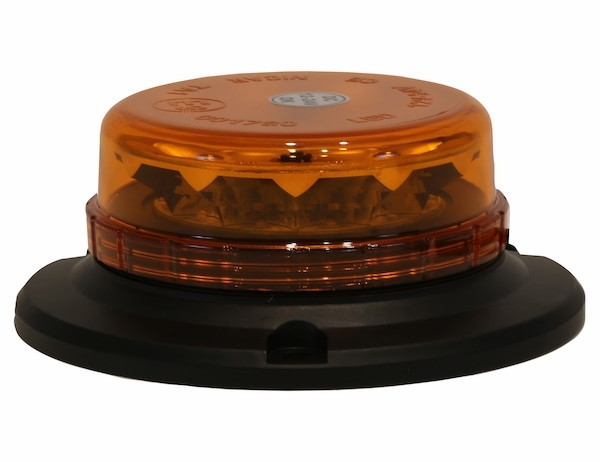 The 6 Inch by 2 Inch LED Low Profile Beacon light features three bright flash patterns. It has a permanent 3-bolt die cast mount. The light is rated IP56 for water and dust resistance. It comes backed with a 5 year warranty. Overall Width 5.9 in. "